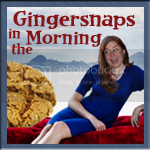 Even gingers in the animal kingdom get the boot. 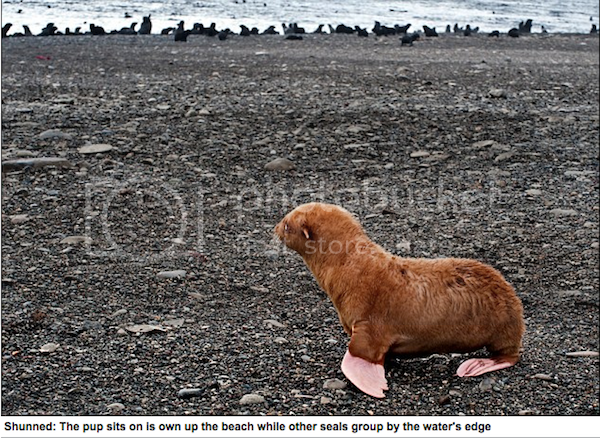 This poor ginger seal pup was rejected by his family & community and abandoned. Look at that picture of the poor, sad guy looking back at his fellow seals, all sad and lonely. Fortunately for him, a dolphinarium has taken the seal pup into their care. Though they could've just grabbed a club and put him out of his misery. I bet he'd make a nice handbag. What? What's better than Adele and Angry Birds? How about both?! And now for today's FAIL. Mr. G would be wise to keep me out of that store. We're about to add cats #7 and #8 to our family. And no, I'm not kidding. Hey, WTF??!! 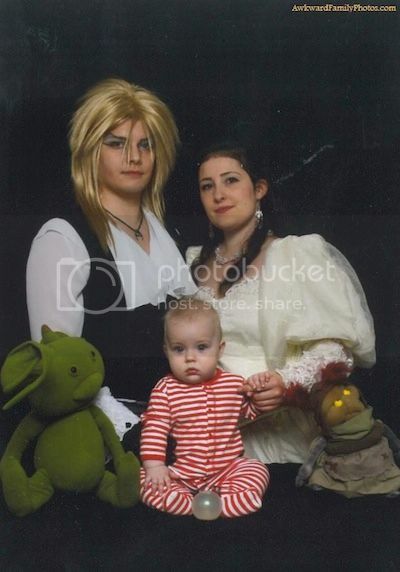 There's very few people on the earth who are bigger Labyrinth fans than I, yet even I am scratching my head at this. Which one is the bride? Dr. House and Arthur Weasley were the two henchman in 101 Dalmatians. It’s important to note that Hugh Laurie and Mark Williams were comedians before they landed their now-iconic roles in House M.D. and Harry Potter. With their current success it’s easy to forget their bit parts in the critically-panned live action adaptation of the classic Disney cartoon. 1. Oh my gosh, I wuv dat wittle ginger seal! He is so sweet! 2. 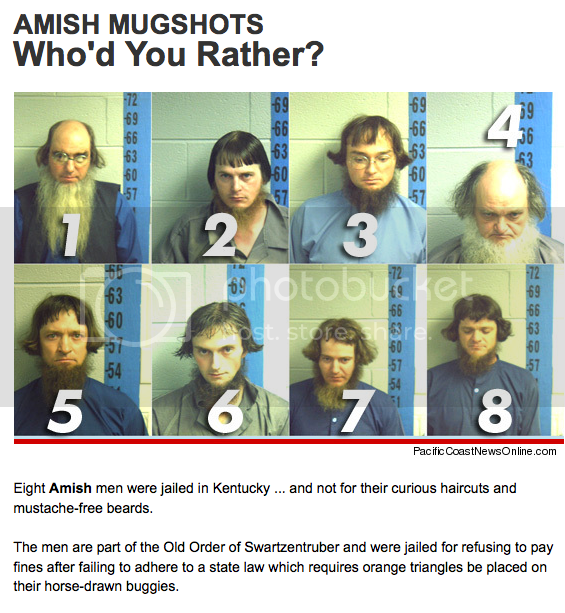 You just *wish* that was hair gel on Amish guy #2. In my experience, it's NEVER hair gel. Seal pup? I could possibly love that more than all six of my kids combined. 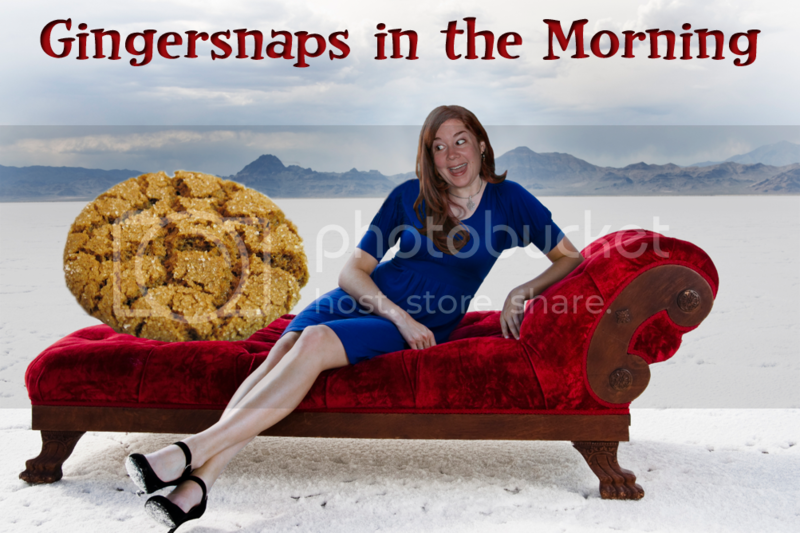 I think I could. 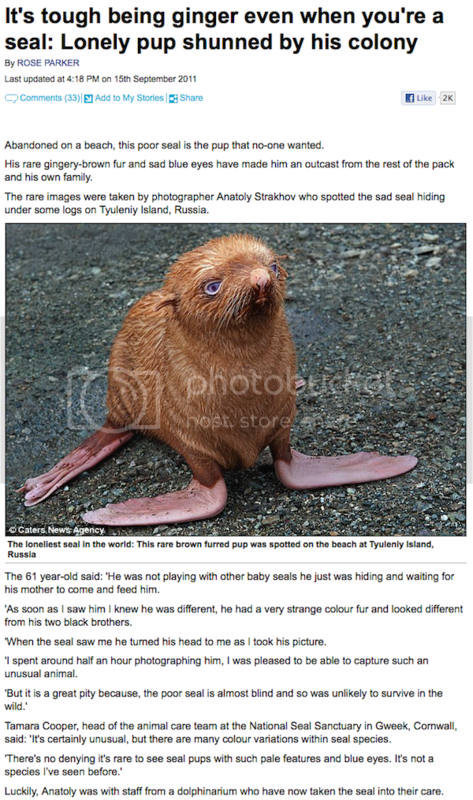 I want a ginger seal! I want that baby seal. He is so freaking cute!